Ecuador is considered a leader in environmental stewardship within Latin America. Nevertheless, significant progress can be made to further the role of gender in environmental policy and leadership. 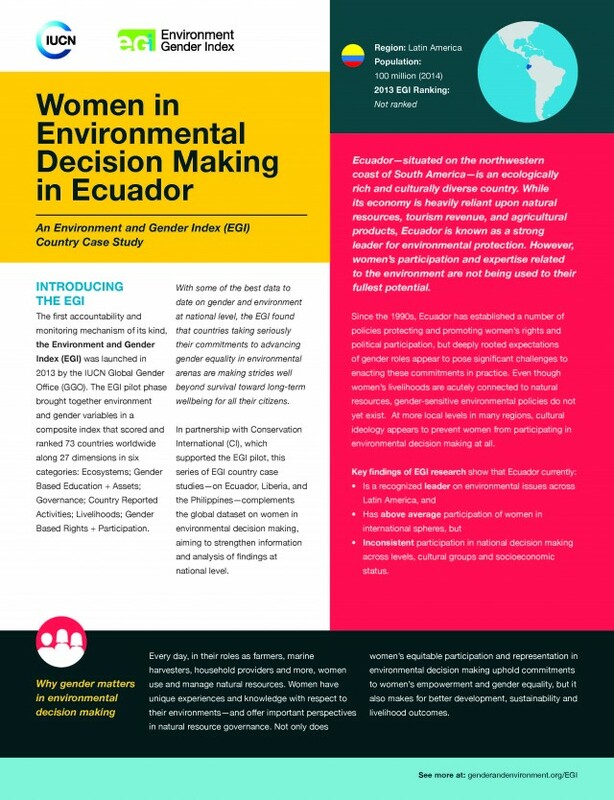 This case study provides an overview and key EGI statistics for Ecuador on the role of women in environmental decision making at the civil, national and international level.